A new version of the NLGA Special Products Standard 2 – Machine Graded Lumber (SPS 2) has been published effective April 1, 2019. The revisions to the previous February 2017 version include an addition to the definitions, clarification edits to various clauses & appendices and updated references. These amendments are detailed in the Preface to SPS 2. Also included are updates to the Ratified Responses to Questions at the end of the document. Copies can be ordered through Publications For Sale or downloaded as a PDF at Publications For Download on our website. As with all NLGA publications, copyright protects the PDF files – you may view download and print these files for your own use, but may not copy, reprint, publish, distribute, or sell them in any format, including electronic, without the written permission of NLGA. Supplement No. 1 amends the list of structural lumber species to include Canadian-grown Norway spruce and adds the U.S. design values for that species. Supplement No. 2 updates the Machine Graded Lumber provisions in Para. 128. Supplement No. 3 revises the National Grading Rule for Dimension Lumber (NGR) Glossary and NGR Interpretations in the NLGA Grade Rules as per the NGR revisions approved in November 2018. Supplement No. 4 updates the European Union (EU) Annex provisions which apply to Canadian lumber exported to the EU. Please check the Updates under the Publication menu on this website for PDF copies of the Supplements. As with all NLGA publications, copyright protects the PDF files – you may view download and print these files for your own use, but may not copy, reprint, publish, distribute, or sell them in any format, including electronic, without the written permission of NLGA. 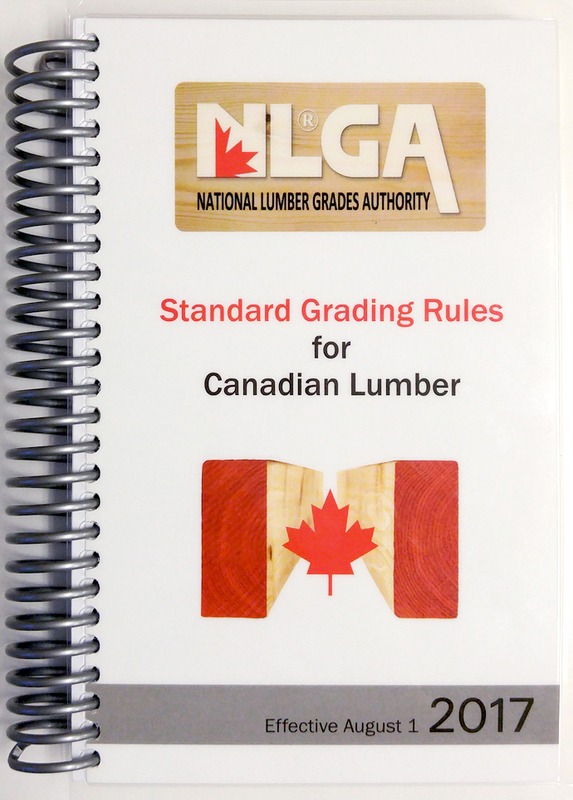 We are pleased to announce that the latest version of the NLGA Standard Grading Rules for Canadian Lumber (Aug 1, 2017 edition) has been published. The updates included revisions to the species covered (Paras. 7, 7a, and 7b), and editorial and format changes. Copies can be ordered through Publications For Sale or downloaded in PDF sections at Publications For Download on this website. As with all NLGA publications, copyright protects the PDF files – you may view download and print these files for your own use, but may not copy, reprint, publish, distribute, or sell them in any format, including electronic, without the written permission of NLGA. The new versions of the NLGA Special Products Standard for Fingerjoined Structural Lumber (SPS 1) and Fingerjoined “Vertical Stud Use Only” Lumber (SPS 3) effective March 1, 2017 have been published. The revisions to the Standards include clarification edits to various clauses, updated references and updates to the ratified responses and example sampling procedures at the end of the documents. The new version of the NLGA Special Products Standard for Machine Graded Lumber (SPS 2) effective Feb 15, 2017 has been published. The revised Standard includes amendments to the calibration procedures for testing equipment, clarification of the grade-stamping requirements and updated references throughout the document. Welcome to our new website. We have updated the layout and added a French language version. 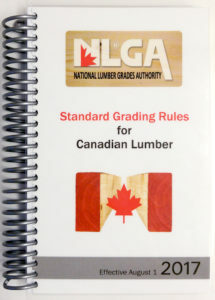 In addition to the free PDF sections of the NLGA Standard Grading Rules for Canadian Lumber we have now also added PDF’s of the NLGA Special Product Standards for your personal reference. As with all NLGA publications, these files are protected by copyright – you may view download and print these files for your own use, but may not copy, reprint, publish, distribute or sell them in any format, including electronic, without the written permission of NLGA. Please note that the French versions will be uploaded and available when the new versions are published.